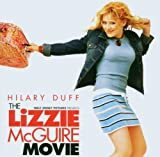 Girl in the band – Paroles de la chanson dans “Lizzie McGuire, le film”. Paroles : Chico Bennett et Charlie Midnight. Wake up in the morning. Today I don’t know who I am. So I go up to the mirror. Good, bad with every change of clothes. But everything I see is me, yeah, me. I’m the girl in the band. The world looks good from where I stand. You hear me, raise your hand for the girl in the band. I’m feeling good inside my skin. The world at my command. Ain’t no doubt about it. You can tell by the way I walk. I’m cruising by, head held high. I can talk the talk. I got to put it on the line. Got to show you what I’ve got. And I know what you see is me, yeah, me. Why, oh why, ain’t I ? I just want what’s mines. Time is time, it’s time. I just want to sing my song. Hey you, get out of your seat. Hey you, get off your cloud. And I know what you see, is me. You hear me, raise your hand.